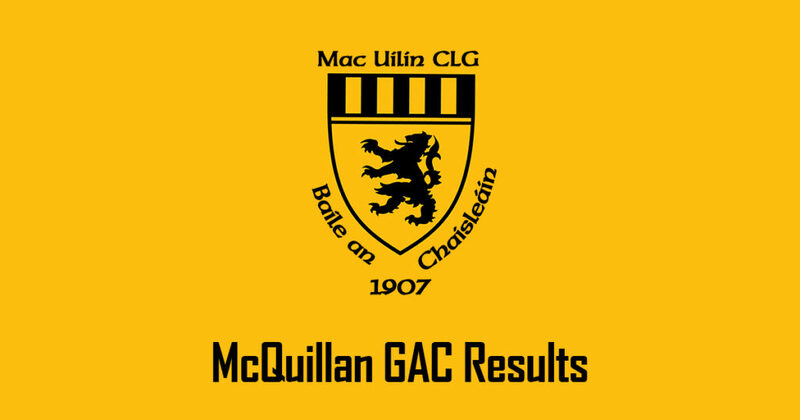 Thanks to all the supporters who turned out yesterday to support the seniors in their pursuit of a county final spot.Final score: MacUílín 0-12 Loughgiel 0-19. Our U16s defeated Cushendall last night in the league at Pairc MacUilin by 4-19 to 3-9. Some great photos by Frank McCaughan of our seniors victory over St John's last week. Well done to our Senior/Reserve hurlers who registered a win in Armoy this morning.Result: Glenrovers GAC Armoy 1-14 MacUilin 3-10Thanks for the photos Frank!